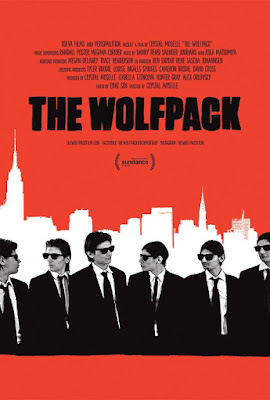 In the "truth is stranger than fiction" department, in lopes Crystal Moselle's festival favorite The Wolfpack (2015), her thought-provoking portrait of the Angulo brothers—Bhagavan, Govinda, Jagadisa, Krsna, Mukunda and Narayana—who have spent most of their lives sequestered away from social contact in an apartment on the Lower East Side of Manhattan. Their coming-of-age tale proves unique and emancipatory. 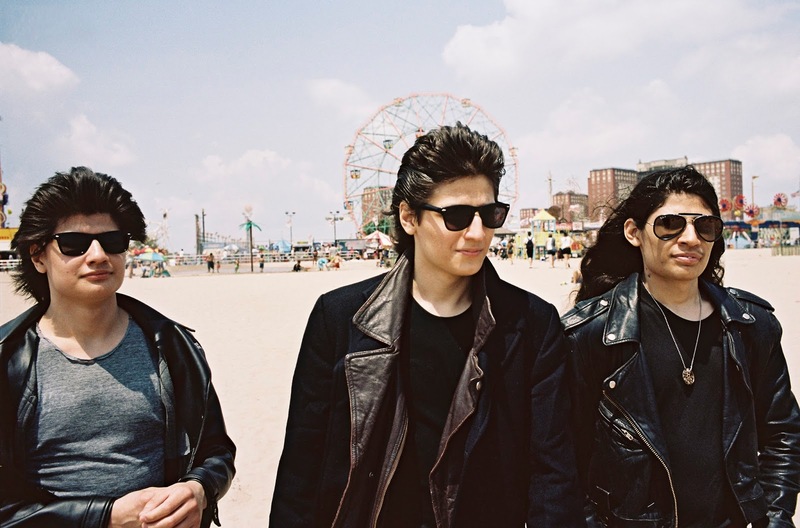 Winner of the Grand Jury Prize for documentary at the 2015 Sundance Film Festival, The Wolfpack was also an official selection at the recent San Francisco International Film Festival (SFIFF). Picked up by Magnolia Pictures, The Wolfpack opens June 19, 2015 at Landmark's Embarcadero Center Cinema in San Francisco, Landmark's Shattuck Cinemas in Berkeley, and the Regency in San Rafael. My thanks to Steve Indig of Landmark Theaters for facilitating the time and space to sit down to talk to Crystal Moselle during SFIFF. It was, of course, impossible to talk to Moselle without exploring the details of her documentary, so from hereon in: SPOILER ALERT. 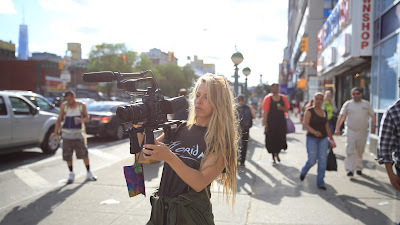 Michael Guillén: I wanted to make sure, Crystal, to start off by acknowledging that you are a conscientious, gentle and protective director of your documentary subjects. That's not always the case so I felt that shouldn't go unsaid. Guillén: Naturally, I need to know how you met the incredible Angulo family of brothers? Moselle: I was walking down First Avenue in New York City and these boys ran past me in Reservoir Dogs outfits and my instinct was to run after them. We met up at the cross walk and I asked them, "Where are you guys from?" They said, "Delancey Street", which was just a few blocks down. They were a little stand-offish. Govinda said to me, "What is this you do for a living?" I said, "I'm a filmmaker." He said, "Oh, we're interested in getting into the business of filmmaking." So I started showing them cameras in the park and we became friends. That's how this all started, through the friendship. I thought they were fascinating and had no idea what their story was. Guillén: Running after a wolf pack of boys is a brave thing for a young woman to do. What was it about them that compelled you? Guillén: Were you studying to be a filmmaker in New York? Or were you already working in film? Moselle: I was already directing and working on different commercial projects. I'd finished producing a documentary on Taylor Meade when I was in college. When I graduated, I started doing short form projects, mini-documentaries, and working with photographers on different projects. Guillén: So most of your training and experience has been in New York? Moselle: No, I went to the School of Visual Arts (SVA) in Manhattan. Guillén: When did you know you wanted to make a documentary about the Angulo Brothers? Moselle: It happened right away. I decided I wanted to do a documentary about them after the first time I visited their house. They were making all these incredible costumes and sets for their Halloween celebration (that I wasn't invited to). I wanted to get invited to that Halloween celebration! It took many years before that happened. Guillén: I'm sure you're aware that The Wolfpack is going to leave a lot of audiences scratching their heads. You've chosen a controversial, difficult subject. One of my colleagues came up to me after the screening last night and said, "I really want to complain about the bad parenting in this movie; but, the boys turned out okay, so something worked." But the issue remains: was this an abusive situation? Moselle: I think it was an abusive situation. Not letting your kids interact with the world when they want to? Holding them back? Guillén: Which places their mother in a complimentary light. These boys were intelligent, sharp and well-educated. Was their mother largely responsible for their homeschooling? Moselle: Absolutely, though their father also had influence. I have to say that in this abusive environment where the boys weren't allowed to go outside, their mother was also a victim. I want that to be clear. Guillén: As another point of enjoyment for the viewer, her emancipation—which came on the coat tails of her sons' emancipation—carried an ever deeper resonance for me. You may not want to hear this, but I thought her story was even more moving than the boys. Moselle: She had the biggest transformation. She was completely inspired by her kids. Her kids laid the way for her. She became liberated. Guillén: It's such a treasure in life to realize you're someone's first friend. As you met the boys and you began to realize you were their first friend, their first true social contact, how did that make you feel? Moselle: It was a big responsibility; but, it was fulfilling. I'm an empathetic person and like to help people. It makes me feel so good to help people, probably more than anything. Guillén: One of the most intriguing scenes was when they went out to a movie for the first time. Their obvious intelligence was coupled with such an honest social naïvete. What movie did they choose to watch? Moselle: The Fighter (2010) with Mark Wahlberg. Guillén: What's happened with the boys since making the documentary? Moselle: Bhagavan, the oldest, is part of a hip-hop theater group. He's dancing, and acting in theater, and loving it. He's so fulfilled. He's also a yoga teacher and that's how he's making money. Narayana, one of the twins, the second oldest, works with Nyberg, who deal with issues like fracking. He canvases with them. He's passionate about saving the environment. Govinda is a camera assistant on commercials and is going to work on a feature later this Summer. As an aspiring cinematographer, he's doing great. I actually take him on shoots. Mukunda is an aspiring director. He's interning at a media company called Alldayeveryday. He's going on shoots and P.A.-ing and doing great. The two younger boys Jagadisa and Krsna are into music. They're especially passionate about the '80s. Their mom is running. When they go out and about these days, they bring her with them a lot. Guillén: Are they still living at home? Moselle: Govinda moved out, but the rest still live at home. Guillén: It appeared that the mother was their main economic support through the assistance she received for their home schooling. Once their home schooling was completed, I found myself concerned how they managed? Are the boys bringing in revenue to the home? Moselle: It's complicated and I don't completely understand it. The home schooling is still going on. They're on welfare. They get disability for the sister who has Turner Syndrome (which is why we couldn't interview her). Some things have changed. They get less food stamps because some of the kids are bringing home some money. Govinda was making the most money; but, he moved out and separated from the family. Guillén: As I've gotten older, one of the things that has definitely made my life better, was learning how to live below my means. They were basically raised that way. When they finally made contact with the world, did that affect their wanting things? Did they start coveting what basically had been off limits to them before? Moselle: It's been a slow process. They're resilient and resourceful. They can make something out of anything; but, it's been different with each of them. Govinda moved out of his own because he wants to buy cameras. He has nice clothes and works very hard. He has a savings account. Bhagavan's different. He's only interested in his art and focused on being a dancer. But, absolutely, when you have nothing and never get anything, or the only thing you ever get is the movies you've asked for (which was their passion), you might start wanting things. But it's funny, with New York City you can have nothing but still have a rich experience. Guillén: The documentary reveals their imaginative freedom in the face of imposed restriction. Moselle: Their experience exhibited instincts like those of outsider artists. They learned early to be resourceful and to go with what they had. Guillén: Which, in an odd way, was what their father was trying to teach them? Maybe he was too severe in his methods, but I couldn't come away hating the dad. Fundamentally, something that he believed in was instilled in them. The footage of them being small boys dancing around in a circle looked tribal. And, of course, their father had this rule about their hair, which added a kind of feral quality to them. Thus, I was amused as the film progressed how each of the boys started to cut their hair. Were you privy to any of their feelings about that and why they wanted to cut their hair? Moselle: Bhagavan and the two younger boys all cut their hair together at once. It was like a release for them. It felt ritualistic. Guillén: Speaking of that home footage of them at such a young age, can you talk about the process of going through what they had available to include in your film? Moselle: That was another pivotal point towards making the film, when I realized that I had all this footage, which made for a more interesting story. I asked them, "Do you have any home videos?" and Govinda came to my house with this stack of VHS tapes. Each tape had about 10 hours of footage on it. It took a long time to go through all that stuff and read between the lines to find "those" moments. A big majority of it was birthdays and the few times that they went outside. It was beautiful to go through this footage and I was very happy to have it. Guillén: I found myself concerned about all the boys growing up through puberty in such cramped quarters, already lacking socialization. There wasn't much age difference between them. I was concerned about their ability to interact with others. If they would know how to? But clearly at least one of them found a girlfriend, if not at least just a friend who was a girl? Moselle: They're late bloomers in that area; but, it's happening. A lot of it's happening right now, actually. Guillén: I'm sure the movie has contributed to it? Moselle: Yeah, they're getting attention. I think their mojo's really coming up. I'm pretty sure one of them has a girlfriend that he hasn't revealed to me yet. So, it's happening. They're just late bloomers in a lot of things; but, they're speeding up fast. Guillén: And they're obviously intelligent, and adapting fast. Moselle: And interesting. These days in New York…? Guillén: They're unique for being different. By having met them, do you feel that you've had an effect on their emancipation? Moselle: Yes. I absolutely had an effect on them. I was their first friend. The beginning of this process was our friendship. It wasn't like, "I'm just going to sit back, hold this camera, and not talk to you." There's no way this film would have happened if I had approached it like that. And I didn't even know that I wanted to make a film back then really. I just knew I wanted to do something with these guys because they were so interesting. As the years went by, I was able to step back more. They found their way and I captured it. Guillén: The film took five years to make? Moselle: I met them five years ago. The film took more like 4½ years to make. The last interview I got was with the father last November. Guillén: In terms of the family's emancipation—we celebrate the boys coming into their own; we certainly celebrate the mother being freed—has the father achieved any kind of a new-found way of expressing himself? Moselle: When he watched the film, he said it was educational. He thought it was a good film and an honest portrayal of his family. Guillén: Where was he from again? Moselle: He's from Peru. He and Suzanne met at Machu Picchu. There was this moment where they fell in love and had the same ideas about life. I think Suzanne was looking for freedom and for the openness that he had, but then the relationship went in the opposite direction. Guillén: I presume he was hoping for something else? It sounded like he was trying to get them to Scandanavia. Moselle: He had delusions of grandeur. He thought great things were going to happen. They started to prepare for it and then time slipped by and nothing happened. Guillén: How did you secure his consent to make this documentary about his boys? Moselle: When I first thought about this story, everything was already very different than when I first met them. The boys had completely taken over the household and their father didn't really have a say about what was happening. They'd let me in, the parents would leave, and we'd hang out. Eventually, I met the Dad. He was very polite and seemed to be into the idea of me filming them. Guillén: Even though the boys were not socialized by way of human interaction, or environmental interaction, they achieved a modicum of socialization through movies. They watched a lot of movies, which is an interesting point. There was a value in their having that outlet. They learned to talk and interact by impersonating movies and their impersonations—of Pulp Fiction, no less—were hilarious and great fun. Except for Govinda (who seemed to love his mother the most), I didn't see in any of them the capacity to express sorrow, however. Have they spoken to you about that or do you have any insight into that? Moselle: When you grow up in such a tight household like that, I think you have to suppress a lot of feeling. They definitely had to hide their feelings a lot and toughen up. Guillén: To wrap up then, this is an amazing debut for you, entertaining and thought-provoking. Where are you headed next? Moselle: I'm working on some narrative projects for now. I'm always inspired by what I've experienced in life, but I need to take a rest from documentaries. It's tall that something this amazing dropped into my lap. Guillén: But you spotted it. You ran after the potential story. You pursued it. Moselle: Tomorrow everything might change, I don't know.